This history is based on conversations with Ted Brewer and information provided by POG members. Pan Oceanic Marine had its beginnings in 1979, when Reese Palley asked naval architect Ted Brewer to design a flush-deck pilothouse cutter. That is just what Ted did, naming the design the Oceanic 46. With the design in hand, Reese's next challenge was getting it built. He hired one Robert Pancoe to get it done in Taiwan. Mr. Pancoe built Reese his boat, and decided that other sailors might like one too. Bob Pancoe tacked part of his last name onto Oceanic, and Pan Oceanic Marine was born. Pancoe then asked Ted Brewer for a 43-foot design, and then, a 38-foot version of the Oceanic. Ted complied. He even did an initial drawing for a 55 footer, but says he never completed the design. One POG member though swears he's seen a Pan Oceanic 55 afloat. It's tough to keep track of the boats once you've submitted the plans. In this case, Ted Brewer says he doesn't have a precise number because the builder did not always pay him his design royalties. Let's just say that Ted figures there are far more boats out there than he received royalties for. By his estimate there are 40 to 50 Oceanic 46's (this includes about 10 Seastar 460s), and some 15 Pan Oceanic 43's. As for the Pan Oceanic 38's, Ted has no idea how many were built (the owners who've contacted POG believe there are about 6 to 10 -- POG has 6 Pan Oceanic 38 members already). 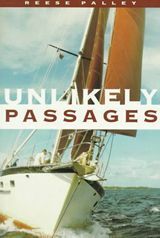 Reese Pally, a retired art gallery owner, has gone on to circumnavigate with his Oceanic 46 and has published several books about his voyages. Damned funny books too. Pan Oceanic Marine built Oceanic 43's & 46's in Taiwan from 1980 through 1982 (the 38's were all built in the Philippines). In 1982, Bob Pancoe decided to move the operation to the Philippines. We are not certain why, but it appears that there may have been a strained relationship between Pancoe and the Taiwan yard, Mao Ta Yacht. It has been said that the dispute became so heated that a stint in jail was involved, but POG has no way of verifying that part of the story. But before he left to the Phillipines, Pancoe literally took an axe to the molds in the Taiwan yard so that no more could be built there. He partly succeeded. The mold for the 43 was destroyed, but it appears that he may have tired of the axe-swinging about the time he reached the mold for the 46. While damaged, it wasn't destroyed. The Mao Ta Yacht yard in Taiwan was able to repair it and went on to build boats that were sold first as a Seastar 460, and later as the Mao Ta 46 (the reason for the two different names is unknown). Both boats are really the same boat as the Pan Oceanic 46. While the 38 and 43 designs were all sold under one name - Pan Oceanic - the multiple names given to the 46 - Pan Oceanic, Seastar, and Mao Ta -- have led to some confusion. It makes things even more complicated when you hear some of these boats referred to as a "Brewer 46". It confused us, so we turned to Ted Brewer -- a pretty reliable source on things named Brewer -- to find out. Ted says that while he designed boats sold as Brewers - The Brewer 42 and Brewer 44 -- these 46 foot boat designs were never marketed as "Brewers". In effect there really is no such boat as a Brewer 46. The nickname persists though, thanks to some owners or brokers who over time listed their boats as a "Brewer 46". How do you know which boat you really have? No Pan Oceanic or Seastar logos were emblazoned on the boats. The best way is to compare what year the boat was built and where. If it was built in Taiwan from 1980-1982, or built in the Philippines from 1982-1986, you have a Pan Oceanic. If it was built in Taiwan from 1983-1985, you have a Seastar built by Mao Ta. We think the boats built by Mao Ta in 1986 were called a Mao Ta 46. Perhaps the best and easiest way to find common ground amid this name confusion is to remember the name given to the design by Ted Brewer, Oceanic 46. The manufacturer of our boats has not existed for many years, which is not uncommon in the boatbuilding biz. We do though have a support structure. Our owners association POG - The Pan Oceanic Owners Group - was born in early 2000, and now has over 100 members around the globe. Owners exchange information daily via our mailing list. You can see photos of owners boats in the "photo gallery" section of this web site. And then there is Ted Brewer. As well as being a renowned naval architect, Mr. Brewer is a very friendly guy and a great resource for POG. He provided much of the history information on this page. Ted also offers copies of the original construction drawings of our boats, typically costing about $80 for a set. 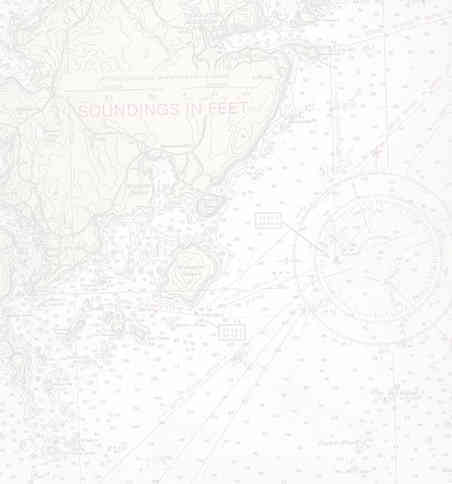 These drawings include complete rig & sailplans. The construction information can be very helpful with maintenance of your boat. Ted Brewer maintains a web page at www.tedbrewer.com. Do you have more info to add to this brief history? Did we get something wrong? Is there more to the story? We'd love to hear more about both the boats and about voyages the boats have completed. Please email it in to the POG Webmaster.